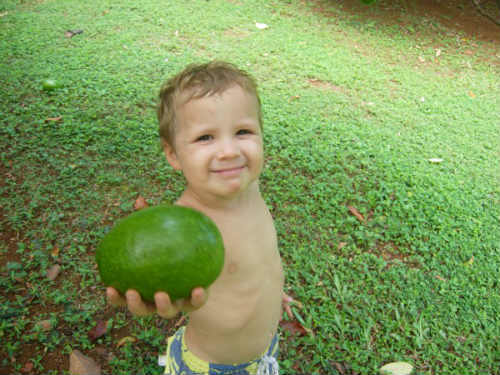 Kid-Friendly Eco-Resorts – The face of the eco-lodge resort vacation is changing. No longer accessible only to the most adventurous of travelers, eco-resorts have become more popular as eco-travel has become more accessible. Many resorts make for environmentally-friendly and educational family travel. Wouldn’t it be fun and educational to expose your child to kid-friendly eco-resorts? Any hotel can claim to be ‘green,’ but the following best eco-lodges for families have all been certified as a green business by an independent third party program or has shown significant initiative toward reducing the property’s environmental impact. All provide some type of environmental programming or conservation effort. All of them are located in wilderness or rural areas that add to the overall travel experience. Read any listing of family-friendly eco-accommodations, and you’ll likely find Maho Bay at the top. I thought about omitting it from this list, just to be unique, but couldn’t. It is that great of an eco-resort. Families choose from two types of accommodations. There are the Maho Tent Cottages or Harmony Studios. The tent cabins are elevated over the white sand beach by extensive walkways, and feature porches and balconies. There’s an on-site restaurant, as well as a store stocked with necessities. The studios are mores similar to hotel rooms, but include bathrooms and full kitchens. This makes it a lot easier to eat green on the road and the way to go if you’re traveling with small children. Activities at Maho Bay range from water sports to art classes for kids in their sustainable ‘trash to treasure’ studio. Nightly stays are really affordable for families, with tent cabins starting at under $100 a night. Where else will you find beach-front accommodations for that price? For a truly unique eco-tourism experience, spend the night in a tree! Our kids love Out ‘n About Treesort, a funky eco-lodge located adjacent to Oregon Caves National Monument in rural Southern Oregon. Despite being located outside a tiny town, travelers come from all over the world to see Out ‘n About’s amazing tree house architecture, and stay the night in one of the dozens of tree house overnight accommodations. During our stay, we slept in the ‘Swiss Family’ tree house, which featured two cabin sheltered nestled into one large tree, connected by ladders, rope bridges, and even a fireman’s pole. Tree houses feature beds and blankets and have shared bathrooms and kitchens (on the ground). A large communal fire pit and a cozy breakfast in the main lodge (included) make for a very fun, communal atmosphere. 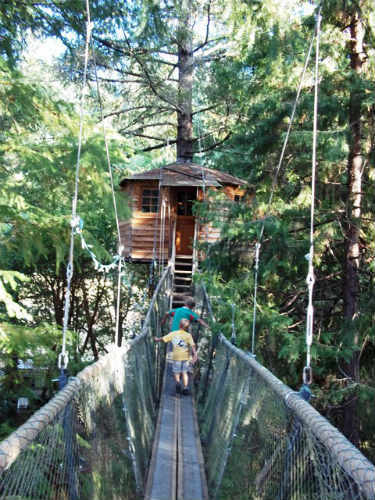 During the day, kids can explore the many above-ground bridges connecting the tree houses (with adult supervision), swing on tree tires and rope swings, and swim in the completely natural swimming hole. Adventurous families will want to book a horseback ride or a session on one of the many zip lines. For diving and snorkeling, Heron Island, located on a natural coral cay off Queensland on the Great Barrier Reef, cannot be beat. Families can swim right off the beach and have immediate access to coral teeming with colorful fish and marine life. From November through February, wildlife is abundant on the island, with turtles coming ashore to lay their eggs along the beach and thousands of black noddies and mutton birds nesting in the trees. An ecotourism and research station is located on-site. Plus, Heron Island Resort is relaxed and low on frills: you get lodging in low-rise buildings or family-friendly cabins, with three meals included daily. A Junior Rangers Program is available, too! Set on 50 private acres in Tortuguero, Tortuga is a river-front lodge perfect for wildlife viewing. 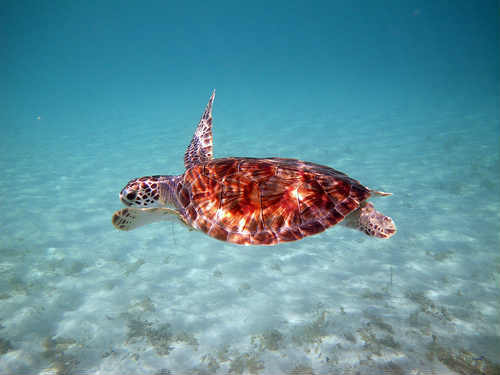 During summer, thousands of Atlantic Green Sea Turtles come to lay their eggs at night along the beaches of Tortuguero. Turtle watching tours can be booked by families nightly from June to October, making for a very fun adventure. During the day, kids can see monkeys, macaws, toucans, iguanas, sloths, and a variety of other wildlife on guided boat tours along the rivers and back water ways. The Caribbean Conservation Corporation’s center and turtle museum is located in the nearby town. Here kids can adopt and name their very own sea turtle. Rooms are simple but comfortable, and meals are kid-friendly. For an authentic Hawaiian experience in a world removed from the touristy hotels dotting the islands, book a few days at a tropical farm. My east coast editor and her young family enjoyed a recent ecotourism stay at North Country Farms, and declared it perfect for a relaxing vacation with preschoolers and babies. Families stay in cottages on this working organic farm, where kids get the run of the place, and can eat all the fruit off the trees they desire. Book early, because they only have two cottages available. This means you’ll never feel crowded during your stay. Located on Kauai’s North Shore, there is lots of beach-side hiking. Swimming is located within just a few miles. Be sure to visit the Kilauea Point National Wildlife Refuge. Yes, it’s possible! Read on for easy ways to be green while traveling with kids. You used to be so eco-conscious before you had kids… packing light, eating local, and leaving a light footprint was so easy. You may have even judged others who couldn’t seem to hack it. But then you had children, and suddenly keeping a posse of little people happy demanded all of your previously well-intention energy. Going green went right out the window — at least on vacation. Living a green lifestyle is hard enough solo: add kids who seem designed to consume, consume, consume, and you may feel doomed to detour from your eco-conscious path. Below are the top 20 easy (even obvious) ways parents can travel green with their kids. Pack light and shop local. 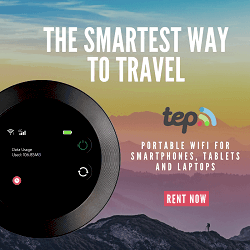 Instead of bringing everything you think you will need but probably won’t use anyway (and will cost you in luggage fees or car space), wait to see what you’ll really need while on vacation, then buy it locally. Picnic instead of going through a drive-thru. You’ll save money, stay healthier, and produce far less trash. It will be a much-needed rest for the driver who may want to keep “driving through” to get to your destination faster. The kids will love time to run around too. So take time to stretch, walk and get some fresh air. When you do need to grab fast food, try to dine in but if you can’t, at least skip the straws and lids. Transfer drinks to reusable sippy cups or stainless steel water bottles. Our family regularly brings in our water bottles and fills them up with water from the soda dispenser. We are saving money, saving on plastic and paper cup waste, and staying healthier too. You will also produce less trash when you dine in. Visit local farmers’ markets and dine at food trucks in cities. It’s healthier, cheaper, and more fun than dining out at a restaurant. You will get a better feel for what the locals eat. If possible, opt for slow travel. You’ll stay longer at each destination, consuming less gasoline or aviation fuel, and get to know your destination better. Book condos or vacation homes with kitchens and cook your own meals. Go shopping once and think of all the stress and headache you will save yourself not having to get everyone ready and drive to a restaurant for every meal. On road trips, pack your car with reusable tote bags or tubs to avoid paper or plastic. Bring mesh laundry bags to store soiled clothing to avoid the temptation to snag plastic hotel laundry bags. If you like using hotel soaps and shampoos like I do, use them in their entirety. No need for duplicates every day. If your hotel offers the kids toys or goodie bags at check-in, only take what you think they’ll actually play with. A simple “no thank you” is fine. This is the same at restaurants. If your kids don’t need a children’s menu and/or crayons to occupy them, just say no. Take public transit in cities. It’s an educational and fun way for kids to travel, and you’re helping the local environment. And probably saving your sanity too: no getting lost or getting stuck in traffic! Seriously, there are hidden perks of public transportation. If you don’t own one, rent a hybrid vehicle at your destination or for the duration of your road trip. We recently saved hundreds of dollars driving a Prius through Northern California instead of a minivan. Plus, some hotels will give hybrid or electrical car owners perks like discounted parking or free charging station use. Look for the LEEDS silver or gold standard when booking a hotel for your family. This designation, not easy to obtain, means the hotel is going above and beyond to recycle and reuse. Rent bikes to see cities and towns up close and personal. It’s a better way to orient yourself, and you keep the car parked. You will be supporting a local business too. There are easy apps to find bike routes wherever you are. What a great way to spend a few hours! Want to be even more green? Try to rent a bamboo bike. Turn off the lights and turn down the thermostat when leaving your hotel room. Told you some of these would be obvious! Bring water bottles for every member of your family. Bring kid-friendly snack foods that can be bought in bulk, to avoid excess packaging. If needed, repackage snacks into individual portions in reusable bento boxes or extra sippy cups. You’ll save money, use less energy, and even get your hands dirty. You will enjoy spending downtime with your family and will save money by bringing your own food. Visit natural reserves or state parks instead of family fun centers or other high-consuming kiddie havens. There are some amazing state and national parks to explore. Take your hotel maid up on the offer to only “refresh” your room when staying multiple nights. Admit it: you don’t change the linens every night at home, either, and everyone gets by just fine. If you have a diaper-wearer, consider eco disposable options if cloth diapering on the go just seems too daunting. Even if you pick up a few new ways to be green while traveling (Legoland California trip) with kids, you and your family will be making a huge difference. Traveling green with kids is always worth it. Soon your new ways will become habits for the next generation. Find A Babysitter When You Travel – When I first heard about finding a babysitter when were traveling, I was skeptical. Finding a childcare provider online seemed a bit scary. Would I be able to find someone I could trust? How would the hiring process work? After asking around and hearing from mom friends who’d had good experiences with the nannies and sitters. Here’s everything you need to know about how to hire a nanny or babysitter when you are traveling, reviews to interview and hiring tips. I’ve find babysitters and nannies in three (going on four) states. I found great sitters in Colorado when I was there for business trip, Texas during a cousin’s wedding, and Minnesota, where I live. I’ve hired one-time sitters, occasional babysitters, and a part-time nanny. Each time, I’ve gotten a good pool of applicants and been very happy with the people I’ve hired. For the Dallas and Minneapolis postings, I got dozens of responses. That said, I still had a number of qualified candidates to choose from and ended up hiring two — one to watch my son during the day and another to watch him during conference-related events at night. Overall, I’ve been pleasantly surprised at finding good childcare at home and while traveling. Costs vary, depending on how you sign up. If you need childcare often, I’d recommend signing up for the annual subscription rather than monthly (which is more expensive per month). This is a job interview and hiring process. Be professional and respectful and expect the same of your job candidates. Have a plan before you get started. As with any job interview, the prospective employee (your babysitter) needs to impress the employer (you) — but the reverse is true, too. It’s your job to make your family look appealing to job candidates. When you set up your Care.com account, you’ll have the opportunity to add a family photo a bit of information about your family. It doesn’t have to go into too much detail, but include your kids’ ages and list a few things you like to do together as a family. As I mentioned above, part of your job is “selling” your family to nanny candidates. If you come across as stand off-ish or demanding, it’s less likely that people will want to work for you. Or if you’re vague on the details, candidates will wonder why and may not apply. Be specific and mention essential details like where you’re located. Share information about your family and be clear about expectations. For more tips on how to write a good posting, check out the Do’s and Don’ts of How to Post a Job on Care.com. If you offer $5.00/hour, you’re probably not going to get good applications — if you get any at all. There are babysitter rates calculator that takes into account number of children, years of experience, and number of hours, week, then tells you the going rate. As with many other jobs, you should ask for a resume and cover letter from applicants. A cover letter will tell you more about the candidate and give you a better sense of them than a resume alone will. Plus, you can eliminate candidates who don’t send both the cover letter and resume with their application. If you email a candidate and she takes seven days to get back to you, cross her off your list. You’re not going to want to wait a week to hear back when, after you hire her, you need to have her come early or on a different day. If there’s anything in the candidate’s profile or letter to you that just doesn’t sit right, don’t feel bad about moving onto the next candidate. Hiring a caregiver is definitely a time to go with your gut feelings. Don’t try to make it work. Patience is the key. Many babysitter and nanny candidates will automatically give you access to free background check when they apply for your position. If a candidate you like doesn’t automatically give you access, just request it. Candidates who have been around for a while might have been reviewed by a previous employer. Check and see what the reference said. If you have a few candidates you like, a phone interview is a great way to make sure you get along well and look for red flags. Phone interviews take less time than in-person interviews, so I always like to do them to screen candidates. Some babysitters might looks great on paper, but be a bad fit for your family. Once you’ve talked to 2-3 candidates on the phone, invite your top nanny candidate to come to your house for an in-person interview. When I’ve done this before, I have the candidate come over when the whole family is home. That way my wife and I can both talk to her and she has a chance to meet our son (and our two big dogs!). The first part of the interview is spent talking with the nanny and the second part I let the nanny play with our son for a few minutes while my wife and I step out of the room. Leaving the room helped us see that one candidate interacted a bit awkwardly with our son one-on-one. Once you’ve found a candidate you really like, ask for a list of references and call them. Calling strangers might feel a bit awkward, but most people are happy to recommend babysitters they love. Even in a professional business environment, I’ve seen hiring managers skip the essential step of calling references. And I’ve seen it have dire consequences that ended with the candidate being fired. Save yourself the hassle and worry and call at least 2-3 of your candidate’s references. It’s always hard saying to a babysitting candidate you like, especially if she’s qualified. Ultimately though, you need to pick the candidate that’s the best fit for your family and your schedule. There are great resource for finding reliable, affordable childcare when you’re at home or traveling. With these tips and resources, and reading care.com reviews, you’ll be able to find an excellent nanny or babysitter for your family. Whether you’re on a vacation and booking a date night or at a work conference with baby in tow, you might find yourself looking for a sitter in a faraway city. The process can be overwhelming. You want to find someone trustworthy and experienced, but where to start? We’ve been there and we’ve got you covered. These 6 tips will tell you how to find a babysitter when traveling. Some resorts offer childcare for a fee, but most require reservations, so plan ahead. Even if your hotel doesn’t, it’s worth inquiring; they might be able to refer you to a reputable childcare agency. We’ve had great luck to find excellent babysitters and nannies, both at home and when we’re traveling. We’ve used it to find five different babysitters in three different states and they’ve all been great. My favorite things are that you can request background checks on applicants for free and that applicants are rated and reviewed by other parents. I always conduct an in-person and/or phone interview and call references so that I’m confident in the person I hire. There’s a similar service, SitterCity, but I’ve never used it. Google “babysitting service” along with the name of your city and see what comes up. I just did that for Minneapolis and found Twin Cities Nanny and Sitter and Jack and Jill Sitting Service. If you find companies this way, do your due diligence to make sure they’re reputable. 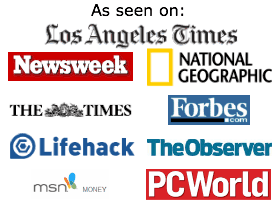 Look up online reviews and see if they’re on the BBB’s website, then ask for references when you talk to the company. We all have Facebook and Twitter friends we don’t see often (or ever) in-person and some of them just might live in the city you’ll be visiting. It’s worth posting a shout out to your social networks asking if anyone can recommend a good sitter. Your neighbor’s sister might live in Seattle (or whichever city you’re traveling to) and she may be willing to sit for your kids, or know someone who is. It doesn’t hurt to ask a few friends or family members in your hometown if they know anyone you can reach out to for your vacation. If you need a babysitter in Chicago and a friend of yours lives there, ask her if she knows anyone who might be available. Even if she doesn’t have kids herself, she might know of a neighbor, coworker, or friend’s teenager who babysits often. When I traveled to a family wedding in Dallas, my cousin was able to recommend a friend’s mom’s babysitting service. Train travel in Europe is almost always affordable, comfortable, and safe, making it the ideal way to get around Europe with kids. Given the choice, I’ll opt to sit back and relax instead of attempting to navigate by car in a foreign country any day, and my kids would thank me for it. On trains, kids are not confined full time to seats like in cars or on planes and the scenery is much easier to see out the window. All this said, traveling by rail in Europe can be confusing. Here’s what you need to know when planning to travel in Europe by rail with kids. Here are some ideas for finding a baby sitter while traveling. In rural areas and small towns, often non-reservable, or ‘open’ destination tickets are the only option. If nothing else, plan for these accordingly. For some high speed trains, even families with applicable rail passes must purchase reservable tickets. Generally speak, however, if you’re traveling from city to city or country to country, you’re almost always better off with a rail pass. Note: France is an exception. Learn more about rail travel in France. This seems like a no-brainer, but with rail passes, it’s possible to purchase Global or Select country passes, then decide where to go later. While spontaneity still has a place in travel with kids, you can’t compare ticket pricing options effectively if you don’t know where you’re going. Start at country rail travel sites like TrenItalia for Italy, and add up the price of your tickets a la carte. Then head to Eurail and see if a Global, Select, or Country pass will save you money (and allow for some spontaneity). Or, you can let Rail Europe do the work for you: you put in your itinerary, and they decide which rail options suit you best. Rail Europe is generally trusted among travelers to provide competitive pricing, so this is a viable option. When mapping out your itinerary and selecting your rail pass, keep in mind that you’ll need to pay even for countries you’re only passing through, not stopping in. Second class is fine (think airline coach), but first class is not much extra per ticket and includes various perks such as wifi or light meals, depending on the train. Often, only first class tickets are reservable, worth the extra price for the peace of mind alone. If you have teens, you may be forced to travel second class or pay extra for adult passes. Why? Youth ages 13-25 are eligible for discounted pass prices with Eurail (approximately 35% less than adult), but only on second class tickets. If your family will be traveling first class, teens will need adult tickets (or you could make them sit alone in second class, I suppose, which might be warranted… kidding, of course). The good news: children ages 4-12 are always 50% discounted, no matter the class, and children under age 4 are always free. When selecting which Eurail pass is right for you, you’ll need to select between a number of travel days. Bear in mind: these days do not refer to the number of days you’re on vacation, but the number of actual rail travel days. You can save considerably by traveling by rail only once every 3-4 days instead of every day, and your kids will feel more rested as well. A ‘train day’ can be a day to rest and recoup after busy travel and sightseeing days. Let kids spread out with games and books, or use the electronic plug-ins you’ll have at your disposal in first class. Bringing food on the train is always cheaper than purchasing on-board, and the luggage and carry-on allowances are much less strict than during air travel, making packing a meal easy. Overnight trains are a great way to save daylight for sightseeing, and are a great adventure for kids. However, it’s helpful to know what to expect. In second class, you usually have the choice between sleeping compartments (small compartments of bunks that are gender specific) or couchettes, which are cabins with 4-6 beds that are non-gender specific (perfect for families). In first class, you’ll almost always encounter single or double sleeping compartments, which means more room, but the necessity for families to split up for children to be accompanied by adults. Just because you’re traveling with kids doesn’t mean you can’t celebrate the new year in style. As more parents jet-set with their kids, cities and resorts are offering Family Friendly Places to Ring in the New Year festivities that appeal to both generations. The following New Year’s Eve events for families combine celebration with relaxation, starting your year off right. If you’re not lucky enough to be in Thailand or Australia to ring in the New Year, these photos will help you celebrate vicariously from afar. From Mexico and Sweden to Argentina and Japan, here are our picks for New Year’s Eve photos from around the world. The famous London Eye makes for a dramatic backdrop for New Year’s Eve fireworks. Over 135 meters high, the Eye is the world’s tallest observation wheel, and the focal point for a stunning (and free!) fireworks display. The visual display starts immediately after Big Ben chimes midnight and always lasts approximately 15 minutes. Yes, it will be crowded, so make a day of it with the kids and scope out a good spot in the afternoon. Where you’ll want to head: Westminster Bridge or the north side of the River Thames. Come for the Christmas holiday skiing and stay for New Year’s! Whistler’s First Night celebration takes place throughout Whistler Village, along the pedestrian-only “Village Stroll”. Best of all (when crowds and kids are concerned) Whistler’s First Night is an alcohol-free public event. While not free, it’s a cheap night out for ski resort standards at $15 for adults and $5 for kids. Families will count down to midnight listening to live music, enjoying art workshops, and watching street entertainment. At midnight, the firework display rivals that of large cities. And if you have small kids, there’s a 9:30 pm countdown as well. In my opinion, this is one of the best places for New Year’s Eve in the U.S.
Ring in 2013 with your family in the comfort of a Colorado swimming pool! Don’t worry, this one’s heated… naturally. At Glenwood Hot Springs, the world’s largest natural hot springs pool will stay open until 1 am. This outdoor pool is fed by the nearby Yampah spring so you can soak while you party the night away. Go ahead and spend the day (or days!) before skiing or snowboarding at nearby Colorado ski resorts. Barcelona’s Noche Vieja is a literal dance party in the streets. Unlike most dance parties, however, kids will learn cultural dances from ballroom dance to salsa to flamenco to rock — all over the city. Festivities last for as long as a week, making this New Year’s Eve celebration flexible for families’ schedules. At midnight on the 31st, a great clock strikes twelve, and families can experience the old Spanish tradition of eating 12 grapes (one for each bell sound). Don’t leave on January 1st: kids will love to see Barcelona’s Cabalgata de los Reyes Magos (Three Kings Parade) on January 5th. The Three Kings, much like Santa Claus, arrive by boat at the waterfront and proceed through the streets of the city throwing sweets to the children lining the route. Be among the first in the world to ring in the new year from Sydney Harbour. One of the top green cities in the world, the Sydney fireworks are legendary, and accompanied by music filtering over the Sydney Harbor Bridge. Like in London, you can expect crowds (more than a million people traditionally attend the Midnight Fireworks), but there are plenty of vantage points from which to get a good view. If you get the chance, the best spot is from one of the many boats dotting the harbor. Other people will recommend reserving a hotel room in Sydney which will not only be more exclusive but also give you a higher view of the fireworks. There are night clubs that will be ringing in the new year with some of the best DJs and celebrities. Don’t forget it will be summer in Sydney: wear your swim suit and don’t forget sunblock! If you’re planning to hit the road or grab a flight with your family, you’re in luck: there’s still time to plan that quintessential family summer vacation. Whether you’re looking for summer vacation ideas to go big with an international trip or stay close to home with a weekend getaway, we’ve got you covered. Here are our top family vacation destination picks, for every category under the sun. For the idyllic beach town experience, Nantucket can’t be beat. Families find a walkable town, calm, kid-friendly beaches, fine dining, and maybe some celeb spotting. Lodging doesn’t come cheap during the summer months (look for a autumn stay if you want to snag a deal), but vacation rental homes are abundant on this bike-able, walk-able island. Warm weather, warm water, surfer dudes, palm trees — this beach town has it all. Kids will love the beachside playground and boogie boarding, while parents will appreciate the California atmosphere and great dining. With indoor and outdoor activities galore, it won’t matter if it’s muggy and hot or rainy and cool at the Outer Banks. Explore Outer Banks beaches for kids, or eat on the piers. This little beach town nestled on the Oregon coast is ideal for families who want to get away from it all and get off the beaten path. Kids will love the wild, scenic beaches, nighttime bonfires, and kite flying. Parents will love the fresh seafood and peace and quiet. Monterey is great for families because it’s not just a beach, it’s several. With a vibrant downtown, world-class aquarium, and historic significance thrown in. Parents will enjoy seeing Steinbeck’s stomping grounds, and kids will love spotting all the seals and sea otters along the piers. A beach destination and an international destination rolled into one, Puerto Vallarta offers affordable luxury, miles of warm-water beaches, and a fun town with lots to see and do. Less touristy than some Hawaiian Islands, Kauai offers families lush vegetation, warm beaches, and great hiking options. A stay at a working farm, such as North Country Farms, really gets families off the beaten path. It also offers a huge Kauai vacation rentals and its the best alternative for families and for everybody. For a rugged beach vacation that still keeps families pampered, Acadia is both adventurous and relaxing. Families can hike and bike or beach-comb, or shop in the small town. Check out the national park while you’re there! With so much to see and do, families can’t go wrong with a New York City vacation. Plan to spend at least a full day in the cool sanctuary of Central Park, then devote some time to the traditional sights such as the Statue of Liberty, Ellis Island, and the Empire State Building. For something unique, bike across the Brooklyn Bridge! You will enjoy eating your way through this diverse city. A city tour and a history tour rolled into one, school-aged kids are the perfect age for the famed Freedom Trail. Families of all ages will love the Duck Tour, and everyone can enjoy Boston Common. San Francisco has something for kids of all ages, from hands-on science museums to aquariums to famous prison tours. The city is visually stunning and fun to navigate via cable car, and best of all, families will beat the heat (you may even need a sweater!). You will love how easy it is to get around San Francisco with their public transportation. Looking for a city destination and a beach destination in one easy location? San Diego is tops for families who want to explore theme parks and city attractions and enjoy some beach downtime. Stay in the city center close to beaches, and take day trips to the zoo, Legoland California, and more. And visiting San Diego in the off season means you can avoid the crowds. And if you try camping there, you’ll enjoy even more family fun. Families visiting Chicago have a little of everything close at hand: museums and exhibits, ball games, beaches, and theme parks. A Chicago stay is perfect mid-Midwest road trip, too. If you stay in the Chicagoland suburbs, you can save money on your hotel and enjoy area attractions. Go northwest for Legoland Chicago (actually in Schaumburg) with a visit to Busse Woods and Woodfield Mall. You can go to to the western suburbs and enjoy the Brookfield Zoo, Morton Arboretum and DuPage Children’s Museum. Venture north and enjoy the Kohl Children’s Museum and the Chicago Botanic Gardens (actually in Glencoe). An obvious choice, but one that can’t be omitted from the list! If you’re looking for a theme park stay, you can’t beat the mecca for Disney and Universal that is Orlando. Stay in a home rental to save money, or get the full theme park experience staying on-site at a theme park resort. You can also go to Florida to enjoy the beach and relax too. If you can stand the heat, there’s so much to see and do in Atlanta. Visit the Centennial Olympic Park, tour the Fernbank Museum for kids, and take a day trip a plantation or nature reserve. Perfectly situated beside Yellowstone National Park (but still away from the crowds), Big Sky offers hiking, extreme mountain fun like zip lines and ropes courses, and white water rafting. Take a day trip to Yellowstone, then retreat back to the sanctuary of the mountains! You will be sure to love Wyoming and all there is to do. This cowboy town offers summer ski resort fun, mountain hikes, rodeos, and proximity to Grand Teton National Park. Take the kids horseback riding under the shadow of the Tetons! This breathtaking lake offers boating fun, swimming, and even scuba diving. When out of the water, families can hike, bike, or visit any one of the area ski resorts, which offer all kinds of summer offerings ranging from gondola rides to bungee trampoline jumping. Boat, kayak, swim, or just relax by the calm waters of this stunning lake. A summer tradition with many East Coast families, Lake Winnipesaukee lodging can be difficult to come by; for last minute deals, check out home vacation rental listings or look at nearby camping. To a West Coaster, the Berkshires more resemble hills than mountains, but they still offer the same level of outdoor opportunities for active families. We love the river rafting along the Deerfield river, and the hiking and extreme sport offerings at resorts like Bousquet Mountain. The Keystone Resort in the Rocky Mountain region of Colorado makes for the perfect summer (or early fall) escape for families. The hiking is gorgeous, and the rivers are clear and beautiful. Families can stay for cheap at ski resort properties like Keystone. Just be sure to get used to the high elevation change in Denver, first. For some of the most beautiful scenery in the world, head to Glacier. Stay at one of the national park’s breathtaking national park lodges (rates are more affordable than you might think), and spend your days hiking or taking one of the park’s many guided tours, which include boating and hiking. While nearby London will be busy with the Olympic Games, Dublin and the surrounding areas of the Emerald Isle make for a great international vacation spot. Tour the museums and the famed Kilmainham Jail with school-aged kids. Just save the pub crawl for an adults-only trip! Filled with history, art and crowds, families often think Rome is beyond them, but in fact, this city is family-friendly. With pizza and gelato on every corner, kids will be well-fed and with advanced planning (and preparation for what they’ll see), tours of the Colosseum and Vatican are wonderfully enriching for children. Can Paris really be beat? In summer, it’s warm without being uncomfortably hot, and families can choose to be active or leisurely. Rent an apartment for a week or more to see the sights and sample plenty of corner Parisian cafes and public parks at a nice pace. Cultural, exciting, elegant, and accessible, Barcelona is the ideal destination to please both kids and adults. The food is fantastic, parks and kid-oriented activities are abundant, and beach day trips are within reach. One of the cleanest and prettiest cities I’ve ever seen, Vancouver offers a lot. You can tour the city, learn about when they hosted the Olympics, have fun in the parks, including some amazing indoor water parks, and have fun exploring outdoors in this scenic city. It’s the perfect destination for families who want to do it all. Enjoy hiking and rock climbing? Zion is heaven. If you are a geology buff or awed by nature, you will love Zion. Wildlife enthusiasts will enjoy seeing who makes their home in Zion. Stay just outside the park boundary and take the free shuttle buses in to hike and explore each day. Plan to spend afternoons by the pool. Grand Canyon had to be included, didn’t it? What many families don’t realize is how much there is to do here away from the park rim (where the crowds gather). Plan an excursion with older kids down to the canyon floor, either by Colorado River rafting or donkey-back. While you are in the area checkout Prescott, Arizona. With so much for young families to do (trails are very accessible and easy to navigate in the main touring areas), the Great Smokies provide a nice introduction to wilderness travel. This national park is in easy reach of low-key, fun beach towns, scenic beaches, and family recreation while still give visitors an outdoor, wilderness experience. Though technically in the high desert, Mesa Verde is at a surprisingly high elevation, so heat isn’t a big issue. Families with kids of all ages will love exploring the ancient Pueblean villages carved into the cliff-sides. Less visited than most national parks — likely because you have to schedule a boat — the Channel Islands are a great place to spend a day (stay in Ventura, CA) or camp out (book a site at Santa Cruz Island). A history buff’s dream, Williamsburg engages kids and adults alike with its famed historical reenactments and tours. Stay right in the village for an authentic experience. Yes, it’s a city destination, but a historic and educational one at heart. Best saved for when your kids are school-aged and able to comprehend the American history and government associated with the city, families will love the Smithsonian museums and Capital Hill sights. Revive the California Gold Rush in the California foothills, with visits to the gold mining museums and sites in the small town of Grass Valley, and Sutter’s Fort State Park in Sacramento. Head north toward Tahoe to see the Donner Party Memorial, too. The site of the Battle of Little Bighorn, this section of Montana offers rich Native American history and the chance to learn about Custer’s Last Stand. For Little House on the Prairie fans, South Dakota offers a network of sites mentioned by Laura Ingalls Wilder. Kids too young to understand the novel references will still have fun visiting the small Midwest towns and outdoor spaces. Kids will learn all about this turning point of the Civil War at Gettysburg, plus have fun at the interactive exhibits, museums, and tour of the battlefield. Stroll around a pilgrim village, learn all about the Mayflower, and see how the Wampanoag people helped the earliest settlers to America. Staying on-site at Disney has many perks, but doesn’t have to break the bank: consider a moderate resort such as Port Orleans, or camping at Fort Wilderness. Stay a week to do it right! Then move over to Universal for at least two days there! Legoland is located only miles from San Diego in Carlsbad, CA. On-site and near-on-site lodging does exist, but be on the lookout for a new Legoland resort to open soon! Plan to spend two days at Legoland since they’ve added water features section to this already large park. With CarsLand and two full parks to explore, Disneyland is a wonderful option for West Coast families. No need to travel all the way to Florida! Stay on-site at the newly renovated Disneyland Hotel. Hersheypark, similar in style to California’s Knott’s Berry Farm, offers fun for the youngest kids up to family thrill-seekers. Time to get your roller coaster riding done! Note: Something great about visiting Hershey is you can also have a wonderful time just visiting Hershey’s Chocolate World attraction and not the amusement park. We were there in the off-season when the amusement park was closed and had a wonderful visit learning all about Hershey. We rode the (free) “ride” in the Hershey center. We booked a trolley tour around Hershey grounds… kids loved the free candy samples! We also paid to make our own Hershey candy bars. Their souvenir shop is amazing too! Great Wolf Lodge (with locations across the US) isn’t strictly a theme park, but it falls in the same category. One part water park, one part interactive play zone, and one part lodge, get tips on planning a Great Wolf Lodge stay that promise good old fashioned family fun for a fraction of the usual theme park price. My kids have traveled the country, and still always ask to go back to Great Wolf Lodge. You can also make a wonderful vacation out of going to Wisconsin Dells. There is a Great Wolf Lodge there along with so many other amazing water parks, inside and outside. This campground, voted one of the west’s best by Sunset Magazine, has it all: stunning scenery, nice amenities, and no advanced reservations. Sunset Bay offers RV and tent camping, as well as our favorite, yurt camping! Located right next to a wonderful beach, clamming and hiking is also on offer. This beach-side campground is perfect for Midwest vacationers looking to get away from the daily grind. Kids love camping right next to the sand and playing on the dunes! It’s incredible that this unique oasis exists here. This campground-lodge hybrid sits on southern Oregon’s Lake of the Woods, tucked away below Crater Lake National Park. Opt to stay in a cabin or tent, but make sure you bring the insect spray — the mosquitoes love to snack on vacationers! Located above the busy, crowded Yosemite Valley floor, Tuolumne Meadows offers several camping and lodging options, ranging from backpacking routes to car camping to cabin or canvas tent stays. Just be sure to book early! Today the Apache Trail remains one of Arizona’s most scenic drives. Twisting over jagged ridges and plunging into sheer-walled canyons, it steers its wild course along the northern flanks of the Superstition Mountains, linking the Valley of the Sun and Theodore Roosevelt Lake. The beauty and serenity of the Rocky Mountains of Colorado have awed many visitors for years. Visitors to the area can enjoy a modern hotel or bed and breakfast stay and then step outdoors and be surrounded by natural beauty. We loved our time at the Rocky Mountain Park Inn. Located in Estes Park, Colorado, it’s in the heart of the mountain range. It’s a simple, two mile drive to get to the Rocky Mountain National Park or just a short half-mile walk to get to the center of this charming town. Forever Earth Environmental rooms and meetings offer a unique view on the environmental ethics of the hotel. They can instruct visitors on life changing ways of environmental responsibility. This includes a comprehensive environmental health and safety management program that is available to guests. Needless to say, the hotel is committed to protecting the earth by using recycled products, reducing waste, conserving energy, and giving preference to vendors and suppliers that have the same environmental or green philosophies of Rocky Mountain Park Inn. Other ways to appreciate the environment we preserve are taking in some of the outdoor activities that can be found in the area. Guests can enjoy hiking, fly fishing, rock climbing, and mountain biking. That’s not to say, you can’t just make the two mile trek to the park for a relaxing picnic–that works too and what better way to spend an afternoon; relaxing and surrounded by beauty. The inn offers various specials throughout the year, especially during off peak seasons. Regardless of specials being offered, the Rocky Mountain Park Inn is a great place to stay for a weekend getaway or for a week long family trip. Visitors won’t be disappointed with the many things to see and do. Besides the national park nearby, the town of Estes Park has things to do and see as well. Of course, the ladies will want to check out Trendz At The Park for some boutique shopping. I have to give an honorable mention for How to Take a Family Vacation to Cuba. With this long list of family-friendly places to visit, you will have the time of your life. Whether you’re traveling or spending the remainder of the summer close to home, there are plenty of sunny days left to explore a favorite swimming hole. This list of top swimming holes across the US should get you started. Often, the key to a good swimming hole is its relative secrecy. For some of the locations below, you may have to do a little detective work on Google to find exact directions (though I get you started). Other swimming holes are well-known. You’ll earn your swim with hikes into some, while others are adjacent to major roads. All are free unless otherwise noted. Lastly, take some advice from a country girl: always check depth before jumping into a swimming hole. South Umpqua Falls, OR: Located about 20 miles from Canyonville OR, these rock falls on the South Umpqua River are perfect for sliding and jumping. Primitive camping in the Umpqua National Forest is nearby. On summer weekends, be prepared for crowds: this is a local favorite. Moulton Falls, WA: Moulton Falls, in 387-acre Moulton Falls Regional Park just over the OR border in WA, is an easy spot to find. The swimming hole on the Lewis River is popular, so avoid weekends. Buck Lake, OR: Buck Lake is only 70 miles from downtown Portland, but few locals make the journey, as the last 15 are windy Forest Service roads and the final half mile must be traversed on foot. Those who get this far are rewarded with a stream-fed swimming hole in relative seclusion. Three Pools, OR: Unlike Buck Lake, Three Pools, on the Little North Fork of the Santiam River, is easily accessed, making it a popular spot with Salem, OR residents. With no hike to the water, expect it to be busy on hot summer days. There’s also a $5 fee. Johnsville Swimming Hole, CA: This small swimming hole in the high sierra near Plumas-Eureka State Park packs a powerful punch with near-freezing water. The summer temperatures are usually in the 80’s and 90’s though, and there are plenty of granite slabs to warm yourself on between swims. Located in historic Johnsville, CA in Plumas County, the swimming hole is accessed by a short but steep hike from the local pioneer-era cemetery. Aztec Falls, CA: Located along Deep Creek in the San Bernardino National Forest, swimmers can drive (mostly on dirt) all the way to the PCT, where they’ll hike only .4 miles to Aztec Falls. Yosemite Creek, CA: Yosemite Creek is found in Yosemite National Park About 20 miles east of Yosemite’s Big Oak Flat entrance on Tioga Road (Route 120). From there, swimmers take State Road 120 (Tioga Road) to the parking area for Yosemite Creek and the Ten Lakes Trail. Slide Rock, AZ: Slide Rock is an incredibly popular series of swimming holes and rock slides in Slide Rock State Park outside Sedona, AZ. On summer days, swimmers will want to arrive in the morning to get a parking spot, let alone a place to sit and soak up the sun, but the slick network of slides and pools are well worth it. A state park fee (per car) applies. Fossil Springs, AZ: Fossil Springs is only accessed with a six-mile round-trip hike from the Fossil Springs Trailhead four miles west of State 87 on Fossil Creek Road. The pool is shaded with cottonwoods, but hikers will need plenty of water for the uphill trek back. Lester Park, MN: Located in Lester Park near the city of Duluth, these pools are a series of three swimming holes on the Amnity Creek and Lester River, all within sight of Lake Superior. Amnicon Falls, WI: The pool below Amnicon Falls is located on the Black River where it runs through Amnicon Falls State Park. While this spot can get busy during summer weekends, it tends to clear out during mid-week. Ocqueoc Falls, MI: Ocqueoc Falls is located near Mackinaw City and Black Lake State Park. Along the length of several hiking trails in Ocqueoc Falls State Park, visitors can find small swimming holes and falls for sliding and jumping on the Ocqueoc River. Johnson’s Shut-Ins, MO: Located in the heart of Johnson’s Shut-Ins State Park, swimmers will find a great pool where the East Fork of the Black River rushes through a trough of rock. Jumping is prohibited here, and crowds abound due to the paved trail access. Located near the Sugarloaf ski resort area, this cold swimming hole is accessed by only a .1 mile walk in. The nearest town is Carrabassett Valley. Outside of Bartlett, NH in the White Mountain National Forest, Diana’s Baths include plunges, cascades, and slides. The hike in is .6 miles, and there is a parking fee. I’m not sure if the hole really is 20 feet deep, but there are ample small plunges and cascades at this popular-with-the-locals swimming hole on the north branch Black River near Reading, VT.
Plan on a .6 mile hike in. Located on the Hudson River, at the top of the Hudson River Gorge in Adirondack Park, Blue Ledges starts with a narrow run with rock walls and is popular with kayakers. It’s accessed by a .6 mile trail in from North Woods Club Road. This hole on the West Branch of the Little River in Smugglers Notch State Park is six miles from Stowe. Swimmers can expect a .4 mile walk in before reaching stunning falls with several tiered pools. Turtleback Falls are located in Nantahala National Forest, where a stretch of the Horsepasture River becomes a flat sheet of rock, descending 12 feet into a deep catch basin. It’s a less than 1 mile walk in, but the climb is steep coming back out once you’ve taken the plunge. This swimming hole can be found in the Suwanee River in the town of Fargo west of Okefenokee Swamp. Swimmers can spot the river as it flows swiftly past the town of Fargo near the Okefenokee National Wildlife Refuge. For those willing to go the extra mile (or nine), Havasu Falls offers both a hiking challenge of nine miles (and 2,350 vertical feet) each way and a spring-fed, 29,600 gallon pool at the end of a 100-foot-fall. Havasu Falls offers impossibly clear blue water originating from the south rim of the Grand Canyon. The trailhead is 170 miles from Flagstaff, AZ, and hikers will need to call ahead for a permit. Photo credit: popejon2, bobistraveling, and DACphoto. Where are your top swimming holes? They are what summer dreams are made of… enjoy! These are great suggestions! What about the resort that is owned by Jacques Cousteau, have you whether it is good for families as well?